Capital is the often most important asset you need to start and successfully run your business. One way of offsetting the capital costs of running a business is having a partner on-board. A partner in your business can provide more startup capital and will even bring in a unique skill set to complement yours. 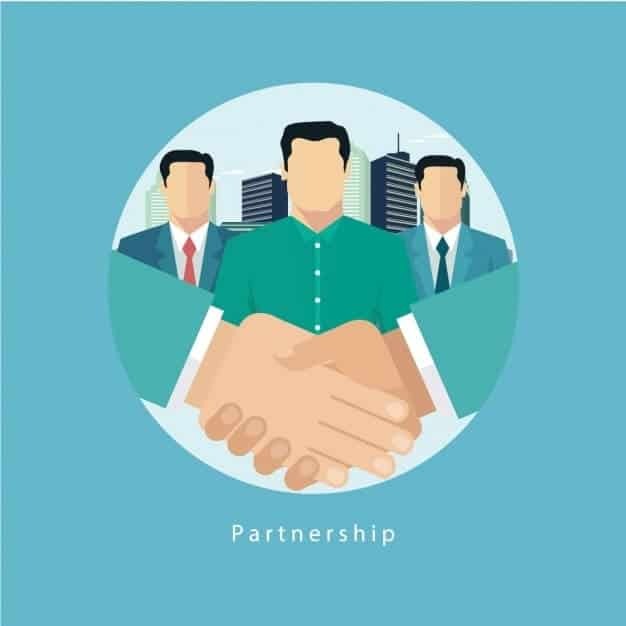 A partner whom has a different business network from yours could potentially bring in more business development opportunities to the partnership. By combining both you and your respective partner’s networks, the company could tap into more sources of suppliers and customers. This will ramp up the initial growth of your company and increase value-add with your combined resources. Having a partner provides another viewpoint when making strategic and important business decisions. With a partner, solving problems, brainstorming ideas, and figuring out what to do and what not to do becomes more efficient, saving time and having a higher chance of being effective when decisions made are implemented. As stated earlier, having a partner will offset the cost of starting a business, and even running it. With a partner, the both of you can bring up the capital needed to start your business venture, and sourcing for funds will be easier with two of you instead of one. A partnership also ensures a shared responsibility in running your business. You and your partner could handle those responsibilities that you have the aptitude for, leading to greater productivity and better results. For instance, the partner great with numbers can handle the books, while the internet savvy partner will take care of the business’ online presence. However, having a partner can also have its disadvantages. One of them involves securing funds and applying for a business loan in Singapore. When you want to take out a loan from a bank or financial institution, they always review your personal credit score as part of the small business loan assessment process. If you have a partner, they are going to look at their credit score as well. In general, most banks might review the personal credit score of anyone whom holds more than 20% shareholdings in the company. Your partner could seriously hurt your chances of securing a SME loan if they have a poor credit score. The lenders will also take a look at your debt to income ratio, to see how much you earn and how much of the rest is spent on paying off debts on a monthly basis. If your credit score or DSR (debt servicing ratio) is very good, you stand a good chance of getting the funds that you need for your business. However, if your partner has a poor credit score or excessively high DSR ratio, it might affect the chances of an approval. If your partner’s personal credit score or DSR ratio is not exactly that bankable, you can take certain steps to fix this issue to improve the chances of securing financing for your company. If you are the one with the good credit score, you can increase your chances of getting a loan by transferring the business to the person with the best credit score rating by buying out your partner’s share of the company. This is quite easy for accountants to do if the initial contract was worded accordingly. If not, it would be advisable to get a lawyer in addition to an accountant to help you get through it. You have to discuss this extensively with your partner though as equity buy out can be a very sensitive issue in a partnership. To improve the chances of securing a company loan, one needs to go along with a cosigner, who is usually a family member or someone who is affiliated with your business. If this cosigner has good credit, that is a huge benefit for you. A cosigner with good credit will improve your chances of getting the business loan you have applied for. A joint guarantor with a good personal credit score might help offset the adverse credit grading of the partner. Your partner with the bad credit score is literally dead weight, but you can help them with their personal credit so that you can be looked upon more favorably. Take actions to improve personal credit bureau grading and try applying for company’s financing facilities again after personal credit has improved. In a partnership, all partners should be conscious of their own personal credit score and try to maintain prompt repayments for personal credit facilities such as credit cards, car loan etc. A business opportunity might arise unknowingly and the company might have to tap onto external bank financing to secure this opportunity. There might also be other impromptu situations when a business loan is required. However, a poor personal credit rating of a partner could be detrimental to the company’s financing applications. If you have exhausted all options shared above, it might sometimes be more effective to dissolve the partnership and go at it alone as a sole-proprietor.